The president is the head of the executive branch of the government, which includes many departments and agencies. The power of the Executive Branch is vested in the President of the United States, who also acts as head of state and Commander-in-Chief of the armed forces. Within the constitutional framework, Congress and the executive continuously devise and revise formal and informal means of making their relationship work. 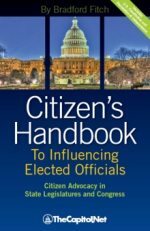 Over time, Congress has given the executive branch authority and responsibilities that are executive (administering the law), legislative (for example, rulemaking), and judicial (through adjudication). Congress uses its constitutional authority, including the Necessary and Proper, or Elastic, Clause (Article I, Section 8, cl. 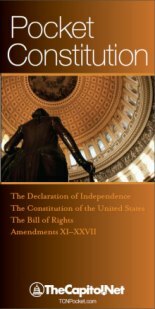 18: “To make all Laws which shall be necessary and proper….”), to pass laws establishing federal government agencies and programs. 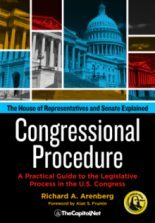 In addition to program-specific laws, Congress passes laws dictating government wide procedures. 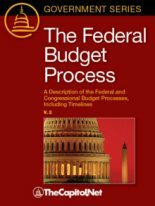 One way that Congress attempts to ensure that the vast array of federal programs is carried out with due consideration for democratic, constitutional values and a minimum of waste, fraud, and abuse is by passing general management laws, such as the Administrative Procedure Act (5 U.S.C. § 551 et seq. and § 701 et seq. ), that specify the processes that each agency must follow when carrying out its responsibilities. In addition to its legislative powers, Congress has the power to influence the executive through appropriations, appointments advice and consent, and oversight and investigation. It requires reports from the executive, conducts hearings, monitors the Federal Register, and pursues its checks on executive power in dozens of other ways. 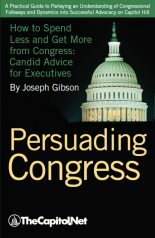 Congressional use of these powers and methods for checking the executive varies; some Congresses assert their constitutional prerogatives more than other Congresses. By setting the level of funding or denying funding for federal programs, and by attaching strings to funding, Congress ensures its role in establishing the priorities and policies of the executive branch. One of Congress’ most effective means of exercising control over the executive is through the appropriations process. The Constitution provides that “No Money shall be drawn from the Treasury, but in Consequence of Appropriations made by Law….” (Article I, Section 9, clause 7). By setting the level of funding or denying funding for federal programs, and by attaching strings to funding, Congress ensures its role in establishing the priorities and policies of the executive branch. Congress places controls on the executive branch not only through its appropriations authority but also by making laws for managing the executive branch. 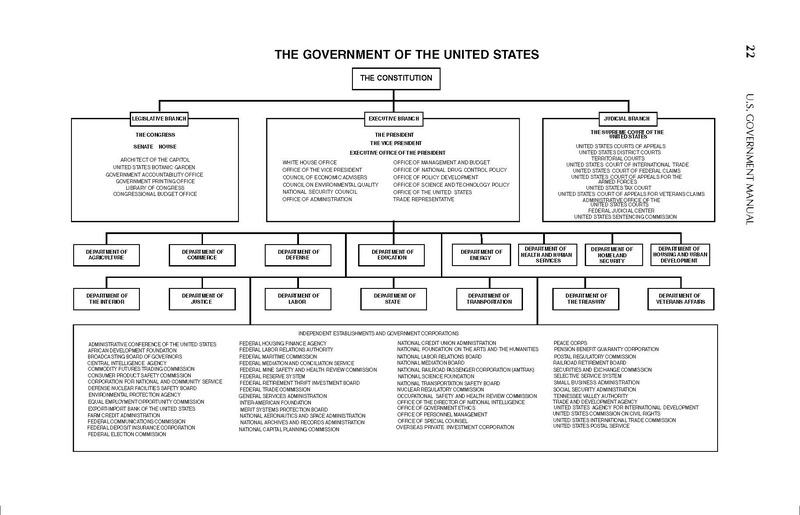 Personnel systems (including personnel benefits), procurement systems, financial management, information technology, and other areas of management of the executive branch are covered in laws enacted by Congress. 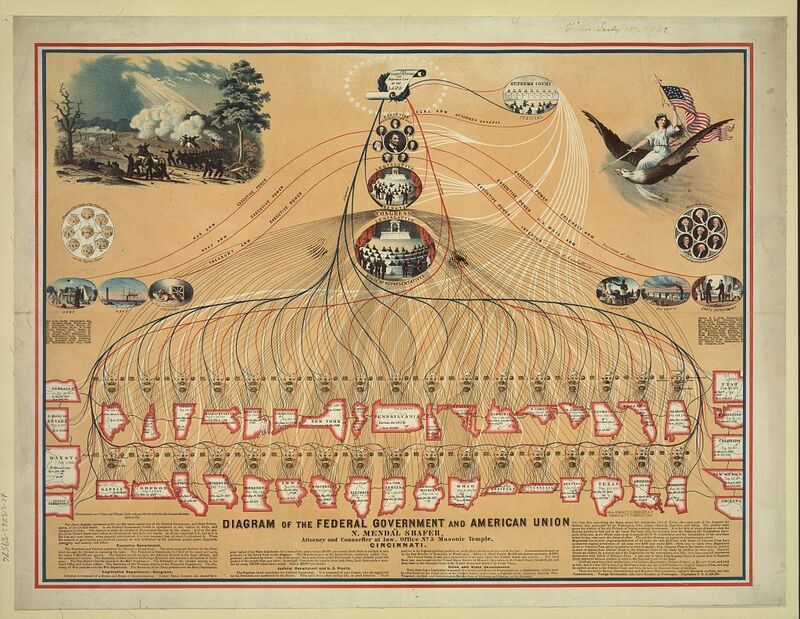 Congress can apply a management law to all parts of the executive branch. Through another law, Congress may also exempt an agency from specific management laws, or even exempt a category of agencies from specific laws. Congress might also impose different or additional management standards on an agency or a category of agencies. The role of the president as day-to-day “manager-in-chief” of the federal bureaucracy provides him with a prominent vantage point from which to promote and implement particular reforms. Although Congress might not adopt an administration’s plan in its entirety, some members and committees might elect to incorporate elements into their own legislative agenda. Statutory changes are usually necessary in order for a president’s management initiatives to take hold and have an impact on the federal government that outlasts the administration. Congressional oversight and investigation are key components of the system of checks and balances between the branches of the federal government, as well as a means of making determinations about the need for additional lawmaking. With oversight, Congress–through its standing and specially authorized committees–reviews the implementation of public policy. Through investigations, these committees use powers granted them by their parent chambers to probe governmental and private activities for potential misconduct or mismanagement, and to compel the appearance and testimony of witnesses and the provision of documents. Although Congress often conducts oversight and investigatory activities itself, other governmental actors, such as the Government Accountability Office (GAO) and inspectors general (IGs) in departments and agencies, are regularly called upon by Congress to assist with these functions. As one of many elements of congressional-executive relations, oversight and investigations are part of a largely seamless web where one element overlaps with another. Congress sometimes conducts oversight hearings as distinct activities, but the review of agencies and programs also pervades routine congressional activities, such as the appropriations and confirmation processes. Congress’ authority to conduct oversight and investigation is implied from its enumerated powers in the Constitution and the Necessary and Proper Clause. This authority is viewed as essential to Congress’ lawmaking role. Also see: Agency; Appropriation; Executive Order; Executive Privilege; Federal Register; Government Accountability Office (GAO); Office of Management and Budget (OMB); Oversight; President of the United States; Rulemaking; § 8.10 Congress and the Executive, § 8.50 Congress and the Executive: Appropriations, § 8.60 Congress and the Executive: Management, in Congressional Deskbook; Chapter 8. 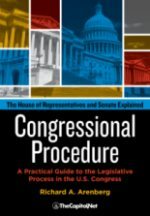 E. Congressional Oversight in Congressional Procedure.